Germany has brought home 50.6% of its overseas gold reserves, which is about 1710 tons of yellow metal. This successful operation was reported by a member of the Board of the Bundesbank (the Central Bank of Germany) Karl-Ludwig Thiele at a press conference in Frankfurt am Main this week. According to him, the total volume of German gold reserves is 3378 tons. According to the data, Germany ranks the second place in the world after the United States. German gold has been completely returned from Paris. 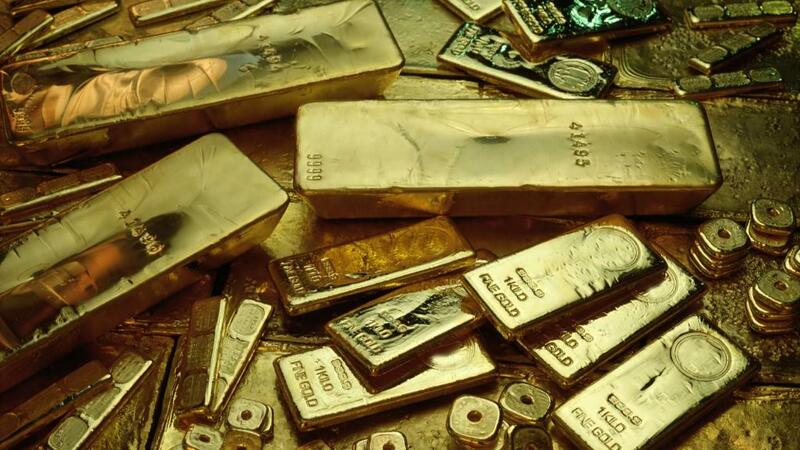 1,236 tons and 432 tons of precious metal are still left in New York and London. And, taking account that modern money is not secured "candy wrappers", the gold stockpiles the only strong core of economy and welfare of nations. Thiele said that each bar of gold, which was returned from abroad, was checked for weight and authenticity: "there were no complaints." The member of the Bundesbank admitted that "this plan was implemented earlier than planned." He said that it was the "success" that it was done in 2017, and not in 2020, as originally planned. It seems that something makes Berlin hurry up and we can guess what it is. Official explanations are unlikely to help much. According to them, when Germany set up creating its gold reserves in 1951, it bought gold in New York, London and Paris and left it there for storage. At that time, Western Germans feared that Soviet tanks would break through the Rhine-Main plain and capture Frankfurt-on-Main, the financial capital of the country, and rush to the shores of the Atlantic. Therefore, they thought that it was better to keep gold in the place where you could run way in case this scenario happened. However, this scenario has never been real: considering the fact that the opponent possessed a nuclear weapon, a big war was unlikely, but Germany was still afraid of it. The threat of war disappeared over the years and the countries liked to keep German gold. They even began to consider it almost their own. Until the Western countries did not quarrel among themselves, it was possible, but in the face of growing contradictions with the United States and the prospect of the collapse of the European Union, gold should be quickly returned home. The sooner the better. For example, Germany returned 91 tons of gold from France at the beginning of 2017. There is nothing left there. We have what we guard? Of course, there was no official concern about the "reliability" of the keepers of German gold. However, such fears existed. And the media speculated that German gold had long been spent. It is recorded, listed, audited for Germany and it is given to the Germans every year, but physically this gold is no longer there. The Bundesbank has always recognized that the practice of storing gold abroad complicates the process of verifying its authenticity and inventory. Hence, they suggested that someone could "lend" German gold bars one day, and then not be able to return them back. Therefore, the Germans also asked their partners to begin to return the yellow metal and spent about eight million euros on this operation. Another explanation why the Germans accelerated the process of repatriating gold but did not take it completely is that they still want to remain useful to their main Western trading partners. Although they have lost their confidence in the United States because of Trump and Britain because of Brexit. So, according to Thiele, the gold stored in the Federal Bank of New York can be used "as a security against dollar’s denomination", and "Sterling's liquidity can be supported by the gold that is kept in the Bank of England." This confirms the version that exists in the expert circles that Germany decided to store gold abroad not because of the Soviet threat, but because Germany paid for a surplus in trade with the United States, Britain, and France in this way. These countries were informally allowed in case of an urgent need to use German gold to stabilize their currencies. This practice helped to build confidence towards Germany, smooth trade imbalances and, as an additional guarantee, it let these countries stay their troops in Germany. However, these times are a thing of the past now. And it is possible to trace this process considering the situation with German gold. Another era is on the threshold now. The evidence to it is that Germany has finally decided to rely on itself, rather than America, Britain and even France. The military expenditures of Germany will grow to 2% of GDP by 2024, the army will be increased, and modern equipment will begin to arrive. This will cost approximately 60 billion euros. These costs were only 1.2% of GDP recently, this year they will reach 37 billion euros. This means that Germany will double them in five years. Germany military budget has already surpassed the military budget of France, which considers itself to be the strongest military country in Western Europe. In other words, Germany is now not the country that it was and it will not automatically support the United States, as Federal Chancellor Angela Merkel recently stated. Therefore, in order to stand firm on its feet, Germany, of course, needs more yellow metal in its own storages. Especially, due to Brexit, the world's bankers got their money from London to Frankfurt am Main. Gold and money should be together too.